Mischa Kaplan is a writer, consultant, educator, and economic development advocate based in Ottawa, Canada. Mischa's interests include economic development policy, innovation and entrepreneurship, public policy, and the small business sector. 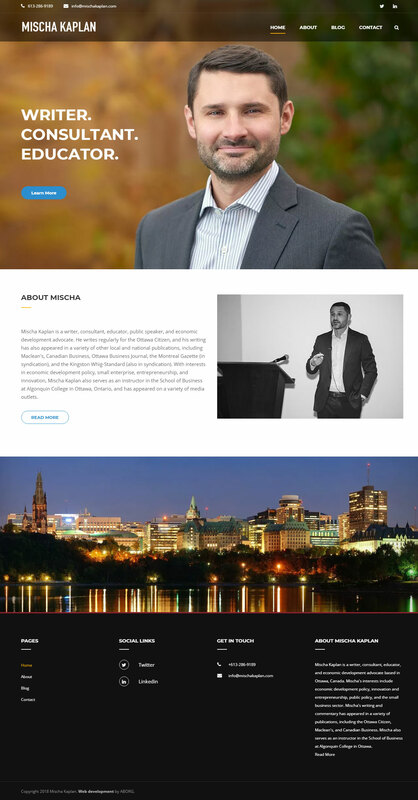 Mischa's writing and commentary has appeared in a variety of publications, including the Ottawa Citizen, Maclean's, and Canadian Business. Mischa also serves as an instructor in the School of Business at Algonquin College in Ottawa.